Soothes the pain of dry cracked skin on hands or feet. Akileine Cicaleine Balm, Akileine Cicaleine Creme Provides protection and healing qualities for Cracks on hands/feet; cracked Heels, Cracked skin, chapped hands, cracked feet, skin. The creme is a soothing, moisturizer, treatment for cracked skin and chapped hands. Reduces inflammation and itching. Akileine Cicaleine is an intense treatment for cracked hands, heels and feet. 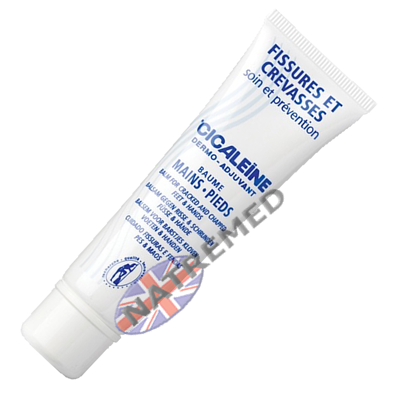 Cicaleine is the best repair for cracked heels. Visible improvement within the first week.